As a team-building exercise, three of us chose this afternoon to clean the chimney of one of our wood stoves. Four lengths of sooty pipe and two elbow joints later, the stove was ready to re-fire and all three of us needed a good bath. We laughed (mostly young ones) and swore (mostly me) in almost equal proportions. 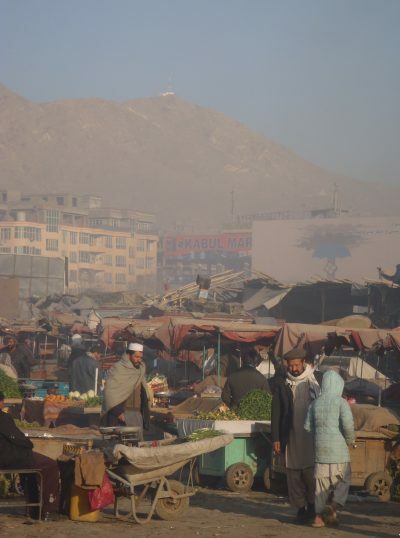 Ken Hannaford-Ricardi is in Kabul representing Voices for Creative Nonviolence. While there, he is a guest of the Afghan Peace Volunteers. Read other articles by Ken. This article was posted on Tuesday, January 2nd, 2018 at 9:10pm and is filed under Afghanistan, United States, Violence, War.